Thanks for stumbling on to my blog. I’m a new blogger, so give me some grace. 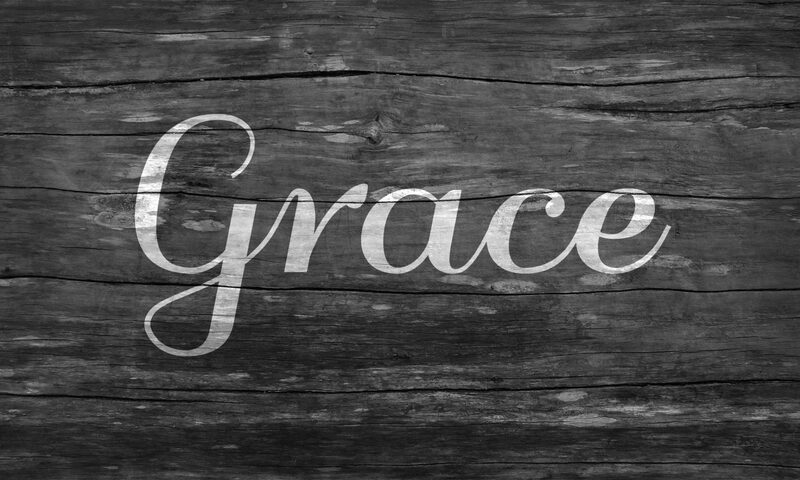 Speaking of grace – that’s pretty much what I’m blogging about. It fascinates me and often eludes me…both in the giving and sometimes in the receiving. I don’t think everyone really understands what grace is – I certainly didn’t for many years, nor do they realize it’s power and worth. Why grace? Well, grace is something that I was never taught in my home, nor any church that I attended through the years until the I found myself at the church where I serve now. It’s a concept that is elusive and you don’t just walk into. You can’t just get it’s definition, read a few Bible verses and then understand grace. No, first you have to walk around it a bit, observe others “offering it” from afar as they demonstrate grace to people (sometimes you) who are undeserving of it. Then you take your own first tiny steps in offering grace to the undeserving that you interact with in your day-to-day life, and in your kitchen, and your bedroom, with your kids, and with your pets. To look at my posts, just click up above on posts”. BGD! (you’ll have to read a few posts to find out what BGD means). If you’d like to receive an email every time I post sage thoughts you can make it easier and just click “follow blog via email” at the bottom of this page (don’t worry – I won’t email you). What I have to say is important to me, so this blog is more for me than for you…but if something resonates and makes a difference in your life, please let me know. I don’t take myself too seriously because I’m learning about life, just like you. Have fun looking around. Oh, and as you maneuver through your life, don’t forget to hand out the grace card now and then.